Fabio, terrific perspective and great monochrome presentation. 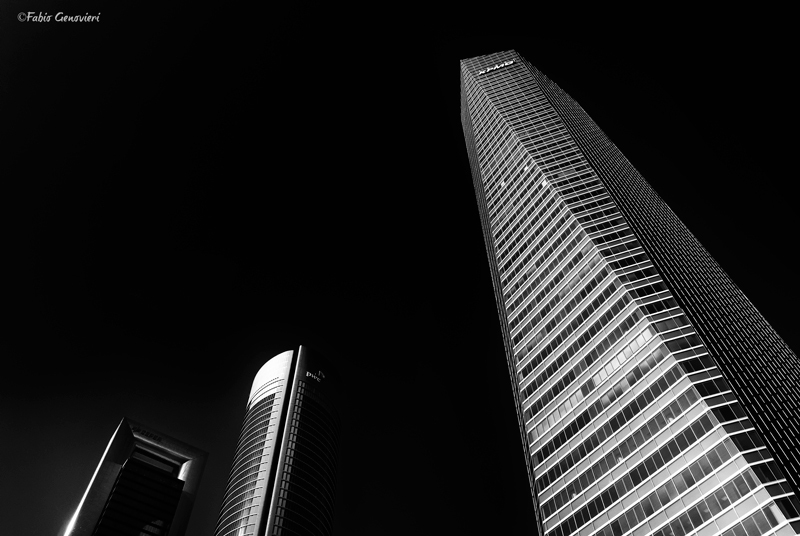 Excellent composition with striking contrasts-one really gets a sense of the height of the buildings. Would you like to share how you took this photo and processed it? It's always nice to know, and thank you. For processing as my habit, camera-Raw + PhotshopCC * Silver Efex for conversion in black and white. The light is that of the morning.